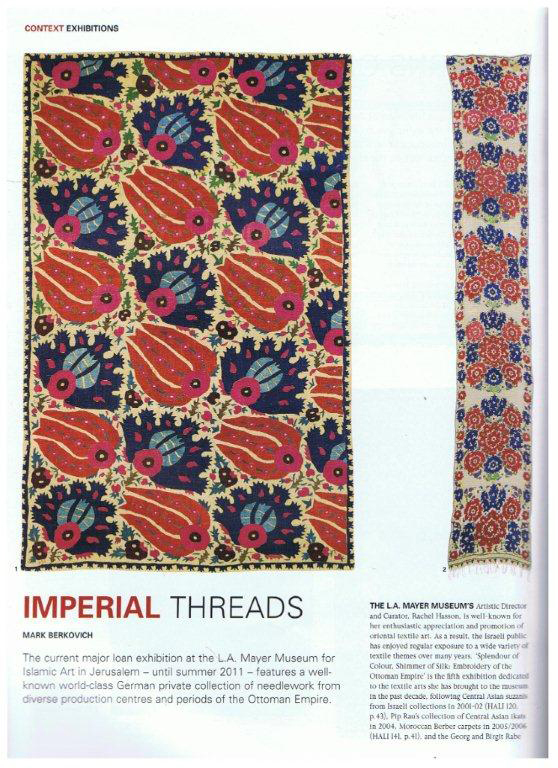 As we have several fine examples of Ottoman textiles, and an intricately embroidered Ottoman Waistcoat in the Zadah Gallery, we were particularly interested in a recent article in Hali magazine reviewing the ‘Embroidered Dreams’ exhibition running at the famed Museum of Islamic Art in Jerusalem, also reviewed on the GoJerusalem website. 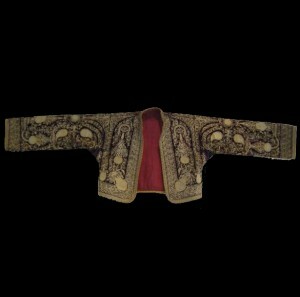 The exhibition features a collection of Ottoman embroidery dating back to the early days of the Ottoman Empire, from places as diverse as Greece and North Africa – which made up just a small part of the Ottoman Empire at the peak of its’ reach. The Museum of Islamic Art is well known for exhibitions that portray and reflect life in the East during specific periods in history, and this one is no exception – presenting a display reflective of what women did within the period and how they considered themselves. The Ottoman Empire dates back to 1289 with the reign of Osman 1, who founded the Empire. Rising to prominence through the 15th, 16th and 17th Centuries, the Ottoman Empire was at its’ peak in the 16th Century. It fell into stagnation in the 17th and 18th Centuries, declining more rapidly in the 19th Century, finally coming to an end in the early years of the 20th Century – before and during the First World War. The Republic of Turkey is the successor state to the heart of the former Ottoman Empire. 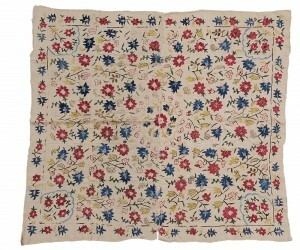 Ottoman embroidery pieces are unique – hand-embroidered pieces where no two are the same. Traditionally, they feature floral patterns, but stand-out pieces include garden themed pieces and architectural designs. 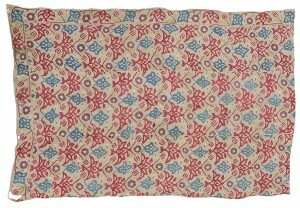 The pieces often include ornate designs and embellishments not seen in today’s mass-produced towels and textiles. Many of the pieces in the exhibition are known as ‘luxury towels’ but they have nothing in common with today’s towels – they were used more for decoration, and often comprised a part of a bride’s dowry – the Ottoman bride would display the pieces as a sign of her abilities and potential. Embroidery has fallen out of fashion – women are no longer sitting around with hours to dedicate to the craft, and it’s no longer a much-enjoyed pastime. That makes the Ottoman embroideries all the more important as a piece of history, reflecting a culture lost in modern times. 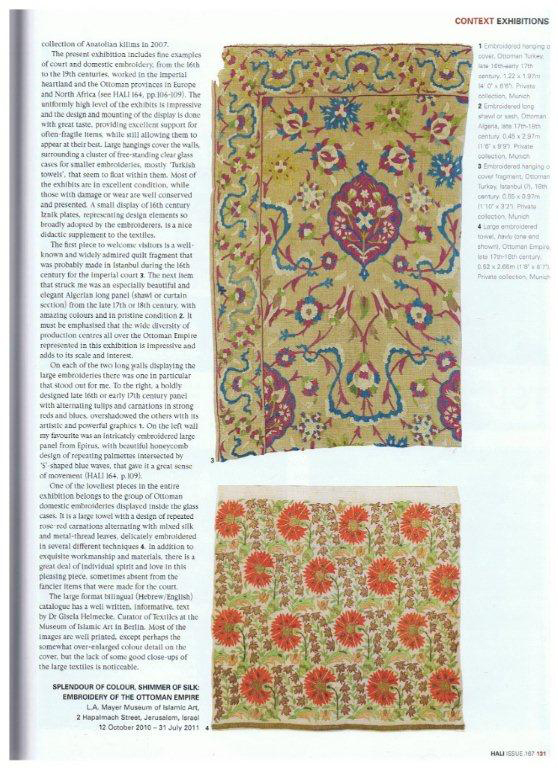 Their intricacy, uniqueness and unrivalled attention to detail makes Ottoman embroidery a a cultural icon from history that deserves our reverence, a forgotten craft from a time long past.